The minions conquer the world wide web and our hearts! Who doesn’t love them ? Whether you have seen the animated movie or not, you can’t resist those little yellow and purple guys. Friday Freebie’s #21 includes 10 free crochet pattern to add more yellow and purple to your lifes! Make your skin shine with this cute and easy Happy Skin Scrubby! The Happy Skin Scrubby is the perfect addition to your daily bathroom routine. It’s done in like 30 minutes and only basic stitches are used. Due to using 100% cotton yarn you can put it into your normal laundry. Make one for each day of the week, use one colour or two colours – they look great anyway! 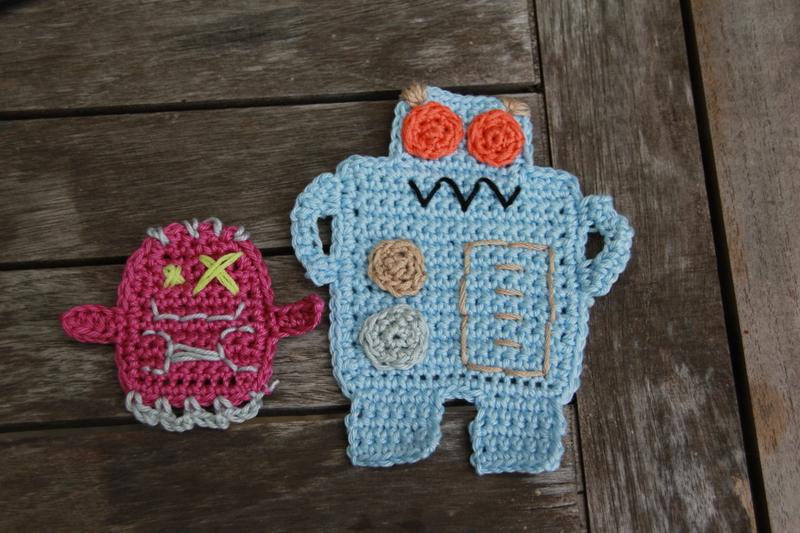 Get the free pattern in english and german here! Including lots of pictures of how to do it. 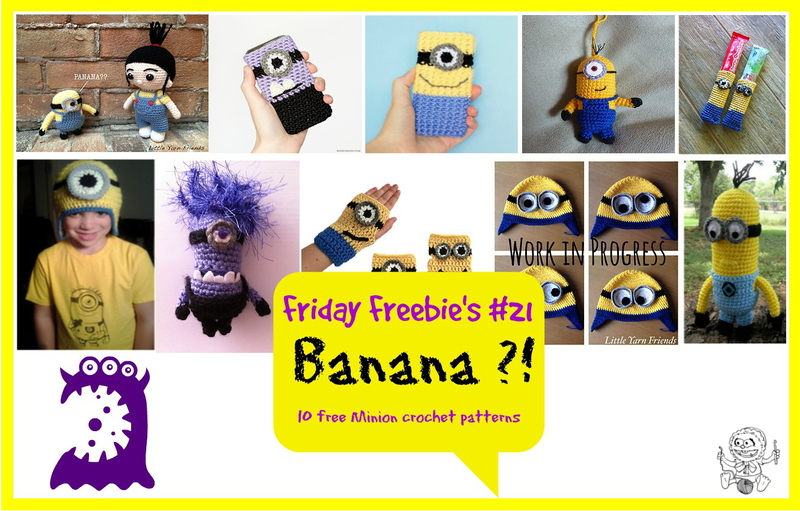 It is time for Friday Freebie’s # 20 – Crochet Bracelets! Including 12 fantastic and beautiful crochet patterns for bracelets. Enjoy them and share with your friends if you like it! With this beautiful neck pillow cover any muscular tension is history! 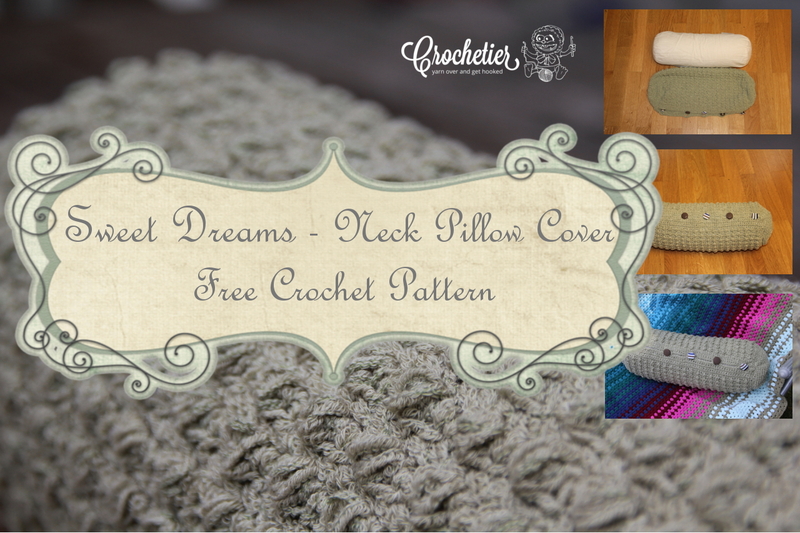 Due to the soft yarn, the bobble pattern looks beautiful but does not scratch or disturb your sleep in any way. With different buttons you can give a personal touch to the pillow cover. The pattern comes with lots of pictures and is available in english and german. I hope you enjoy this lovely pattern! Share it with your friends, if you like it! 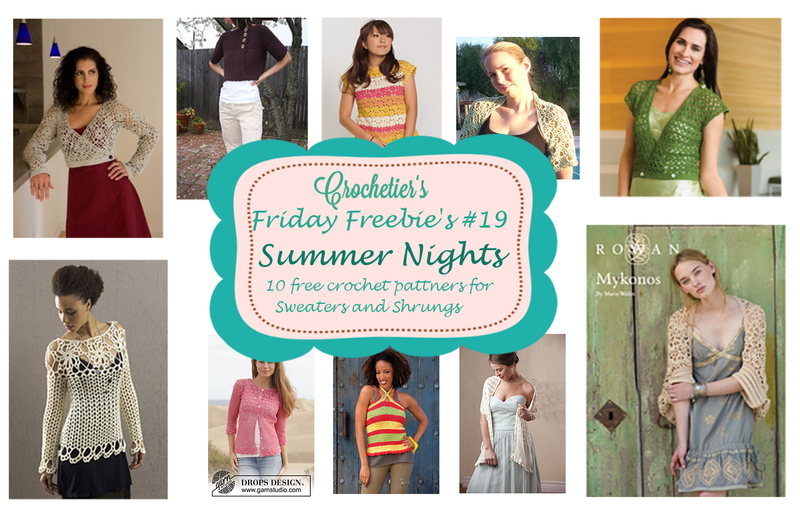 Click here to check out Friday Freebie’s # 19! 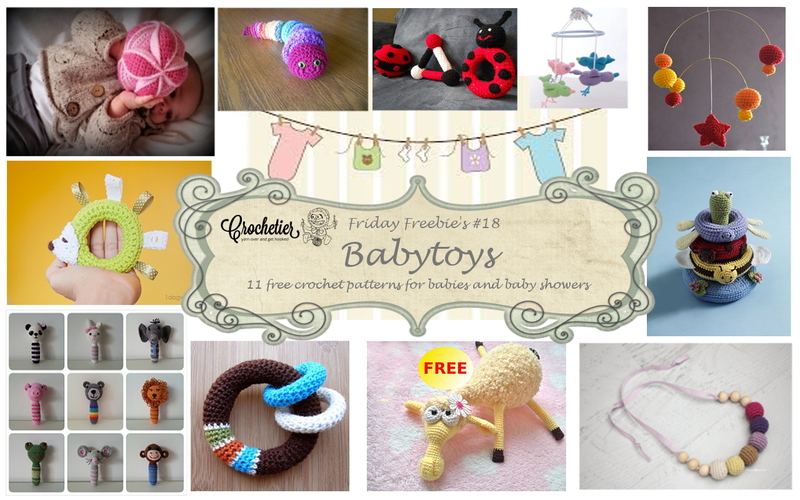 This weeks Friday Freebie’s # 18 are all about baby toys and baby shower gifts! Also, if you haven’t seen it yet, there is a new menu point under Encyclopaedia – All about the hooks! There are so many parts of a crochet hook – and all are important to get the result out of your work you want! 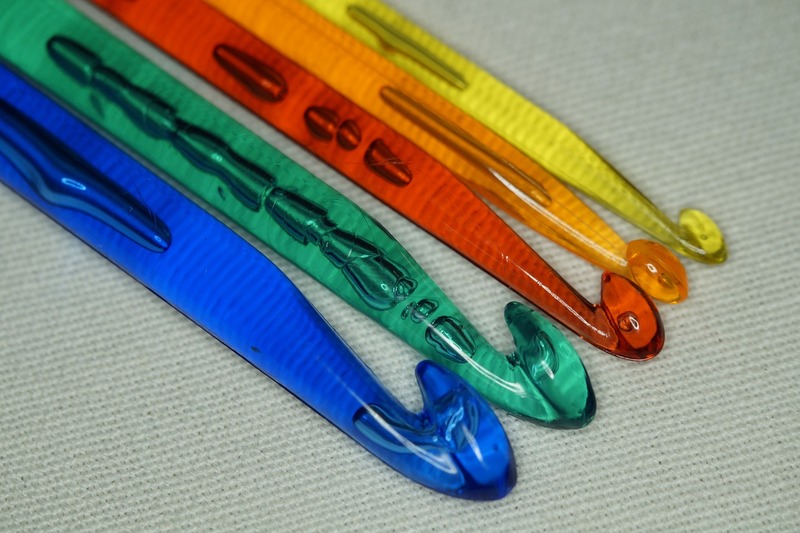 Read more about the parts of crochet hooks and the different designs here! All information comes in english AND german! Playing games is always fun – but making your own games is even more fun! 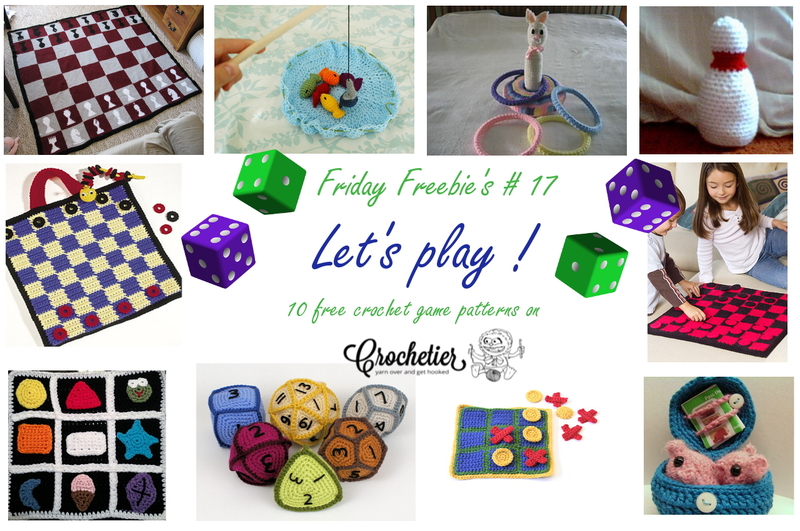 Find 10 free games crochet patterns on Friday Freebie’s #17 – Let’s Play! 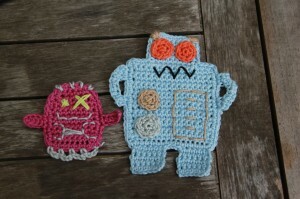 It’s been a while since I posted the last free crochet pattern here. BUT today is the day – Meet the robots! 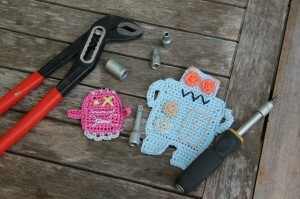 They are very easy and quick to do, only basic stitches are used! Using different colours and embroidery enables umpteen different designs! 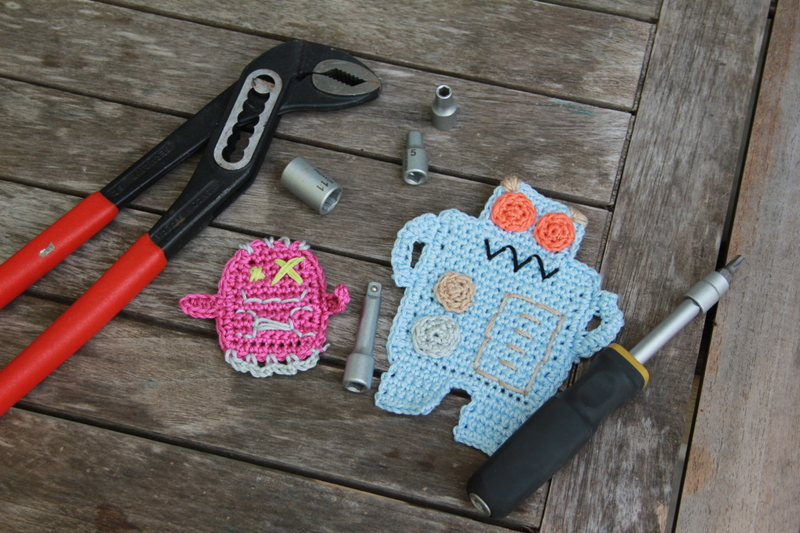 Find the pattern for the robot and his little helper in english and german here! Other than that, I’m currently working on a carpet for my little one. 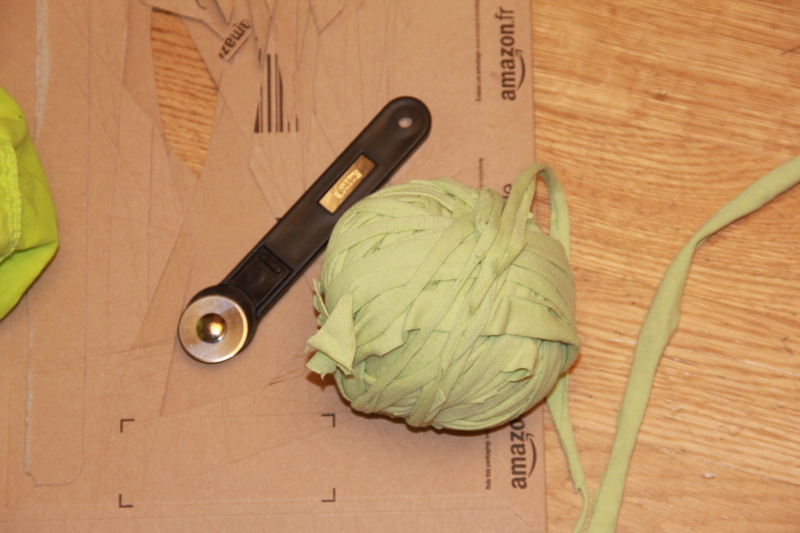 I want it to be very thick, so I decided to use some old sheets and cut them into t-shirt yarn! 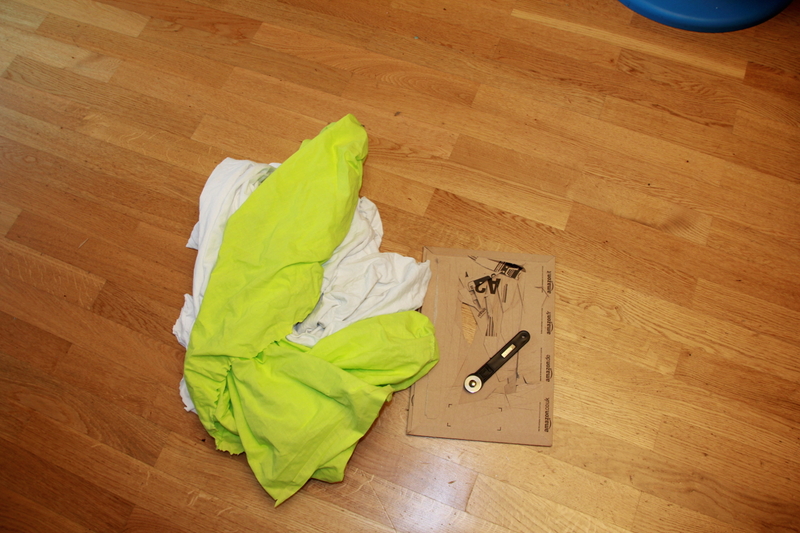 Therefore I used a t-hirt yarn making tutorial – which you can find here. 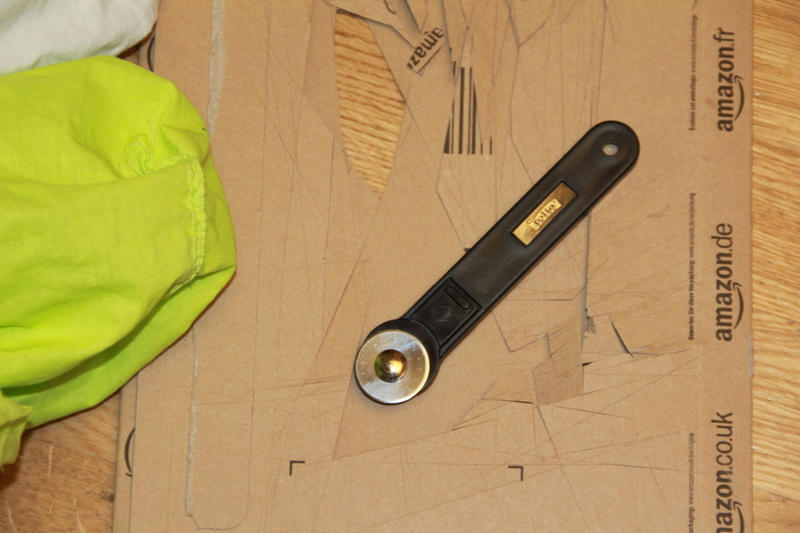 I decided not to use a scissor to cut the sheets into straps – because it would take me ages to do so! I can’t wait to start the carpet ! I will post the pattern and all details when it is finished! Have a great week and enjoy the new free pattern! Do you ever wanted to know how to make t-shirt yarn ? Or how to unravel an old sweater go get out some new yarn ? Recycling sometimes seems hard to do – but with this 12 free recycling and ucycling ideas and patterns it is easy to do ! 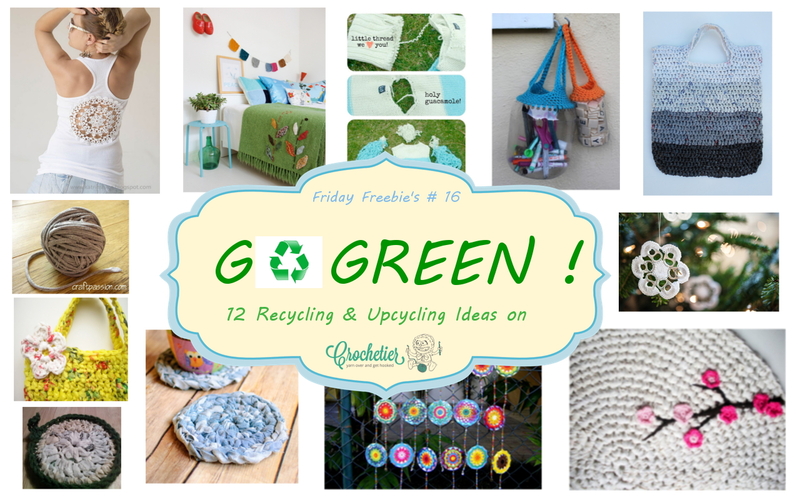 Find all answers on this weeks Friday Freebie’s #16 – Go Green!